The Memory One mattress is the latest release by the popular furniture retailer MADE. 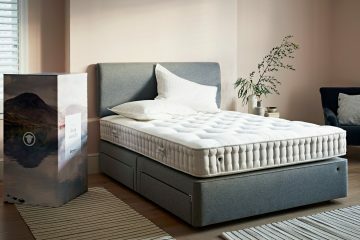 It is a memory foam mattress constructed in the UK with really high-quality materials and follows the latest mattress trend so expect it to come in a box! 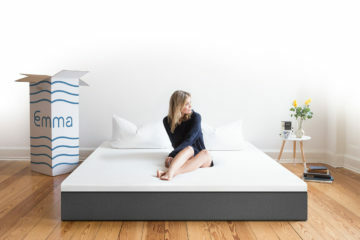 I got mine last month and as usual, it took me three nights to start liking it so always remember to be a little more patient with any mattresses that come rolled up in a box. 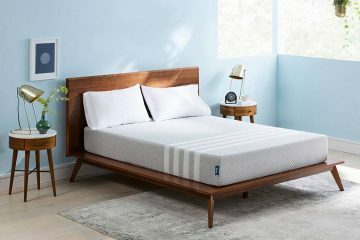 My first impressions of the mattress are very positive this whole month but let’s move to the full review below so you can get a better idea of what the One by Made mattress offers. One has a total of three layers which include foam and latex materials. Top Layer: A 2.5cm CoolBlue Memory Foam layer developed by Made which moulds around your body but also keeps you cool during the night. Middle Layer: A 2.5cm LayGel latex core which provides you with the needed support but also gives this speedy bounce back when you lie down. Bottom Layer: A 17.5cm reflex foam base layer which is the foundation and the base of the mattress. 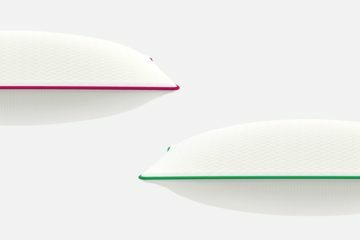 Sleep Surface: This layer is also developed by Made and it is constructed of soft-knit Polyester. It is probably the best sleeping surface we have seen in a while and the feeling when you lie it very comforting. The One by Made mattress is a medium firm mattress that is designed for all type of sleepers. If I use the virtual scale, I would say that Memory One is a 6.5 with 10 being really firm and 0 really soft. Being a stomach sleeper myself, I usually find memory foam mattresses more suitable for me, and One did exactly that! 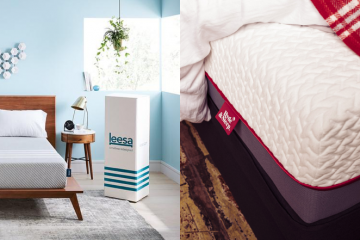 That doesn’t mean that side or back sleepers won’t find the mattress comfortable, but the reality is that stomach sleepers tend to find it difficult to get comfortable so it’s good to point out that the One mattress is good for this category of sleepers. 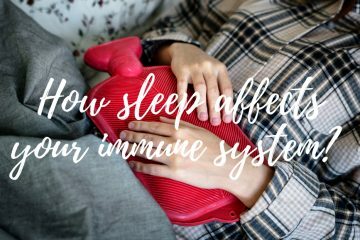 The memory foam worked really well from the second night onwards, moulding around my body and creating the support feeling that we look for in a memory foam mattress. There is a minimum body weight transfer when moving around which was also impressing and is a problem that a big guy like me can face with other memory foam mattresses. Another positive aspect of the One is the breathing sleeping surface that worked very well with my new high thread count sheets and created a very pleasant environment despite the really warm nights we experienced here in London. 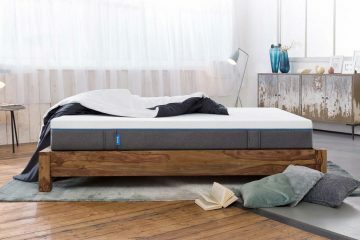 The One also offers good support, even close to the edges of the bed and in general, it gave me the impression of a solid, well-made mattress. The bounce is speedy, but not as speedy as a spring mattress which is the only downside when you go for a memory foam mattress. The Memory One though does a really good job on that, just like the Eve mattress. 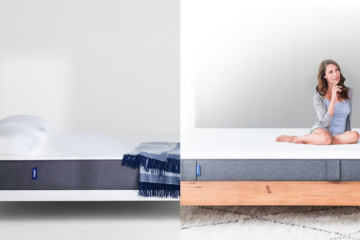 The One by Made mattress is designed to work on any firm, flat surface according to the manufacturer’s product guide. So you can put it on your floor or on your existing bed frame. 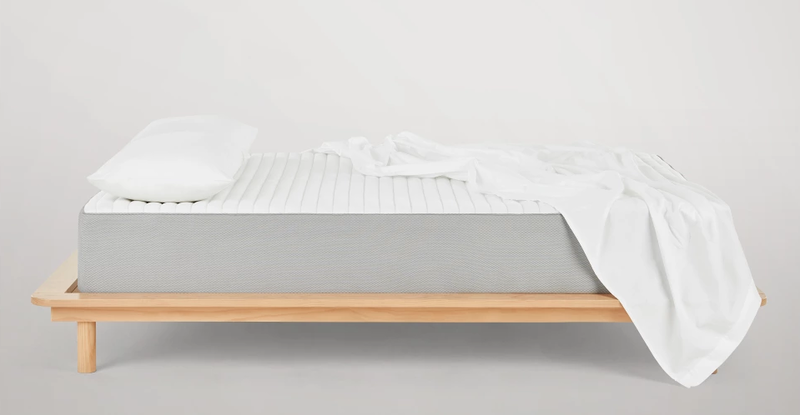 Like every mattress, make sure you use a big number of slats to create a flat surface and allow your mattress to have the balance it needs to perform at its best. 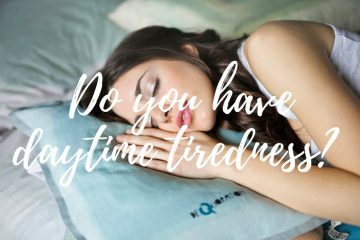 Made.com offers Free Standard delivery to all sales and your mattress will be delivered within 7 days from the moment you place your order. They also offer Saturday delivery that will cost you an extra £10. There is no option for next day delivery so their service is not as fast as Eve or Simba. The mattress will arrive in a carton box that will vary in dimensions depending on the size of your mattress. Unpack as soon as you can and give the mattress 24h before you sleep on it so it can fully decompress. 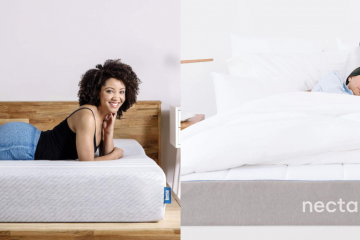 As you would expect from a retailer like Made.com, the One comes with a 10-year guarantee so stay assured that your mattress will last you for a long while. On top of the guarantee, the One comes with a 101 nights trial period, so you can decide whether you want to keep it or not. 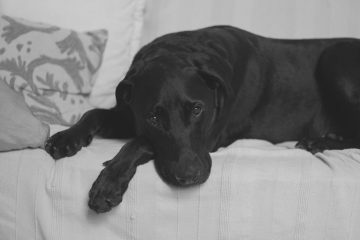 You have one more day than Eve and Simba (both offer a 100-day trial) to make your mind! It’s funny how competition works but all I know is that it works on our favour! 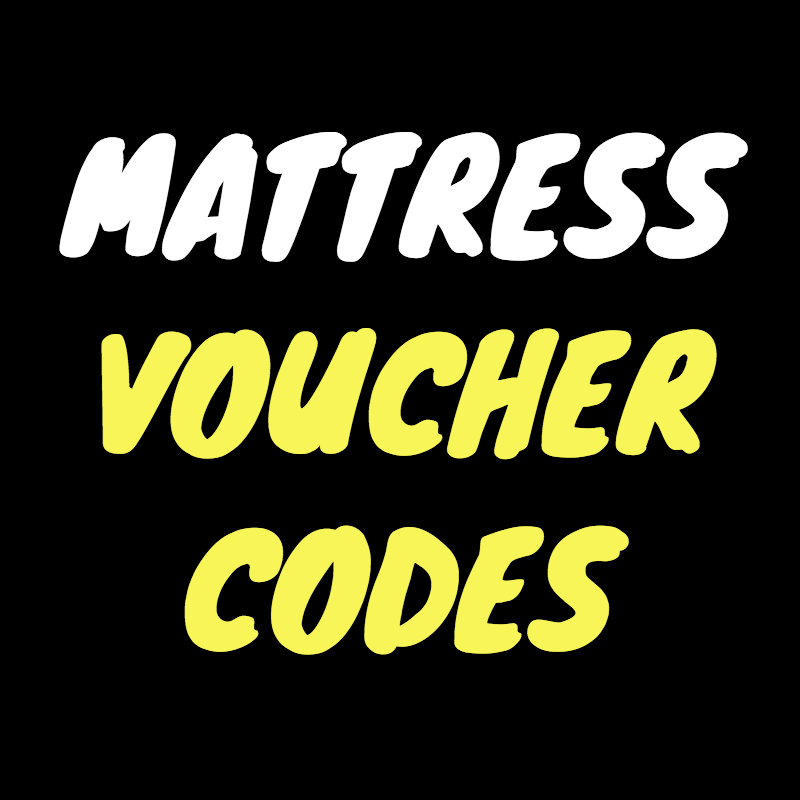 In the case you decide not to keep the mattress, Made.com will remove it from your property and will refund you the full amount. Always make sure to read the T&C’s so you know what you are getting. Learned my lesson long ago! 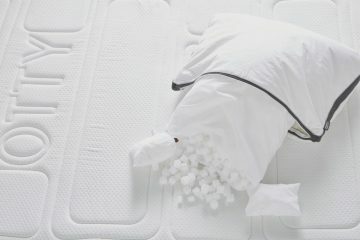 A mattress that feels medium-firm and has probably the best sleeping surface in the market, made of soft-knit Polyester. 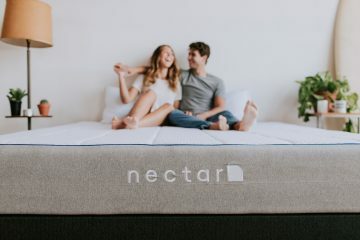 A mattress that has all the benefits of a memory foam mattress but also a quick bounce response that is seen mainly on spring mattresses. A mattress for all sleeping positions, including stomach sleeping, that has good edge support and minimal weight transfer. If you look for all these features, then the One mattress by Made should definitely be in your shortlist. A British-made mattress with really high-quality materials that is suitable for all body types and sleeping patterns. The only downside here is that you have to wait a week before you receive your mattress but I believe it is worth the wait.